Selected to experience the first ever "Psychological Extreme Haunted Asylum", Katie Owens begins to question what is fake and what is real. 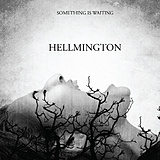 Intern Editor Mallory Drumm learned first hand the horrors of Katie's story when she was tasked to transcribe one of the pivotal moments of the night Katie disappeared from "Hellmington". Great work on the speechless mission, so many videos to catch up on, this was done perfectly!!! Really good work guys! Great suspense, hope you keep making it further, I love discovering more and more about the project! The suspense is incredible; it's scary to watch but impossible to look away. This kind of movie keeps me up at night but I want to see more. Wow! Super creepy and suspenseful. Really liked the transcript aspect. This clip definitely makes me want to know more. Well done! This was spooky, suspenseful, and so intriguing! Really great take on this video, mixing the found footage/documentary aspect. This is super scary. Awesome job! Congrats at making the Top 30! Can't wait to see how it all plays out! this is the best one so far! Love it Mal haha! Great job, guys! And congrats on making it to the top 30! Loved this....super creepy and intriguing! Holy cow, great work on this mission. You definitely are the most original with this. Kept me intrigued and it's so creepy.